Ties That Bind NPR coverage of Ties That Bind: Stories of Love and Gratitude from the First Ten Years of StoryCorps by Dave Isay. News, author interviews, critics' picks and more. The founder of StoryCorps analyzes the project's first decade to celebrate the power of the human bond as demonstrated by poignant examples, from two brothers who reconnect after parent rejection to a veteran who remembers his poignant relationship with two Iraqi children. 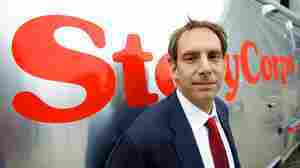 October 21, 2013  At its core, StoryCorps founder Dave Isay says, the project is about letting people know their lives matter and won't be forgotten. The result often means that listeners have a good cry on their way to work. As the oral history project marks its 10th anniversary, NPR will be revisiting some of your favorite stories.